Welcome to SHU! We make podcasts that are like comic books for your ears! Everything produced under the SHU umbrella is all part of one canon. Just like comics, there are many titles, under one banner, all part of one world. There are two main real play RPG games, and two patreon fan games that all take place in the same superhero world. We also produce scripted content from time to time as well. With more funding we can make bigger and better content that can grow the SHU world. Every episode that goes on SHU has an original piece of art from the Game Mustard Happypuke! You can find all the action here! We currently have two primary real play FATE powered games running, The Amberville City Heroes, and The Villain Underground! 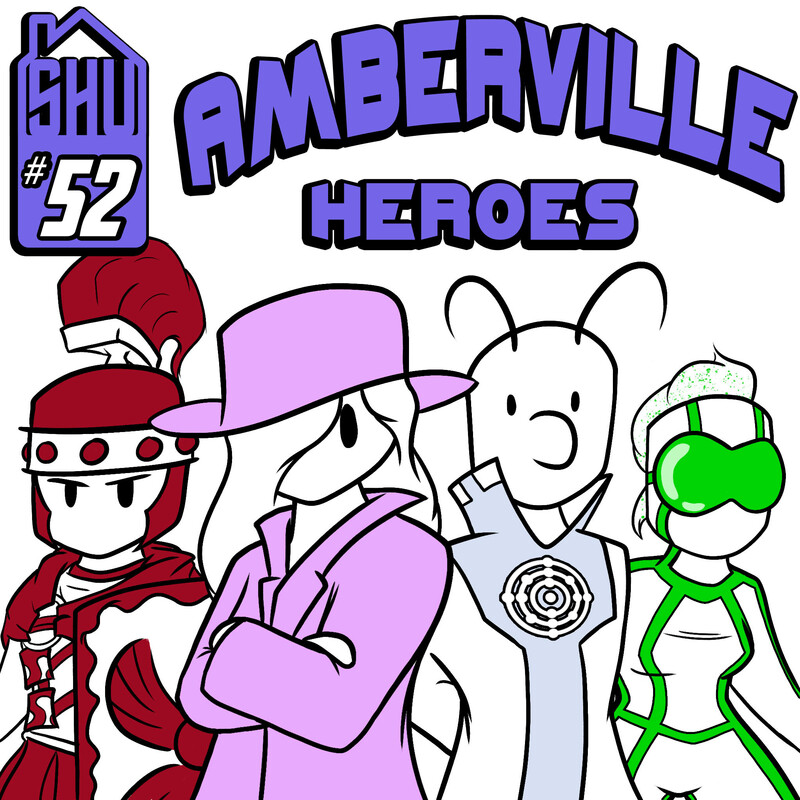 The Amberville heroes are a group of stalwart crime fighters that work every day to protect the people of the city of Amberville, and sometimes the world. 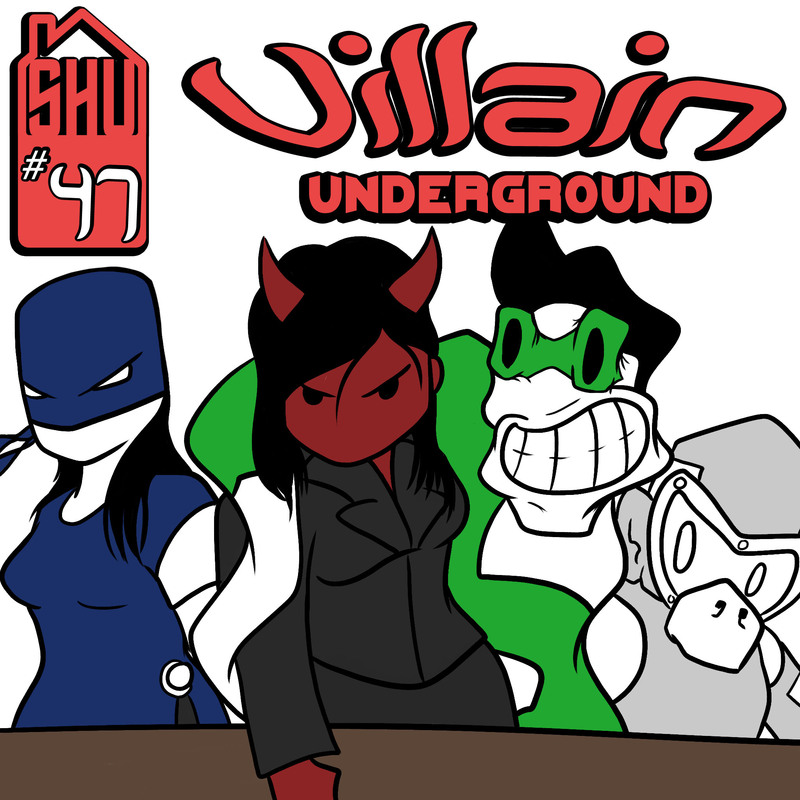 The criminals of the villain underground are a collection of degenerates that are after glory, riches, and power. They do as they please to hell with the consequences. The dire dire consequences. 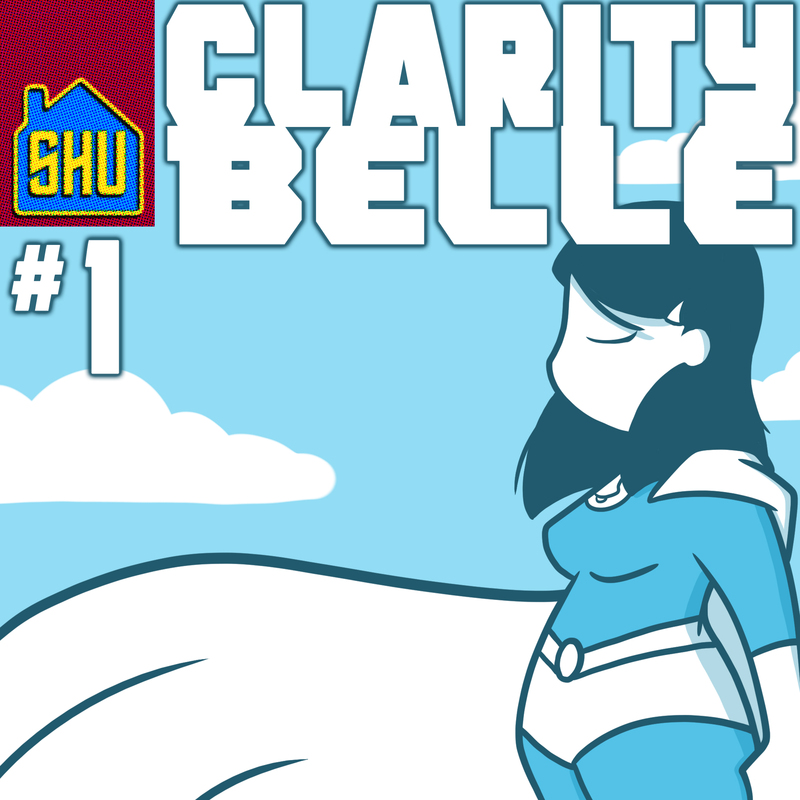 We have two separate patreon games that are fully integrated into the world of SHU. The kids of Ruby River High are trying to balance the stress of highschool with that of being in the world of superheroes! In the depths of space, there are many threats and dangers. 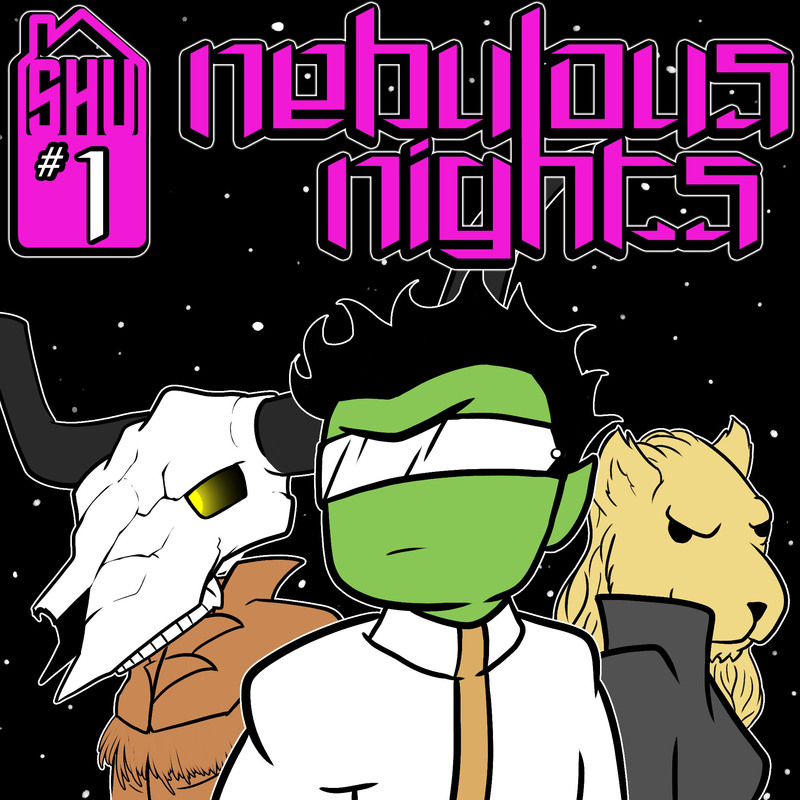 The last line of defense out in the vastness of space are the Nebulous Knights. As we grow, we will add all kinds of scripted content! The scripted content will focus on other characters and events in the SHU. Many of these stories will strengthen the lore, and fill out the world. Everything that is released on the feed is canonical so the things that happen in each show can cross over and affect each other show, but you can enjoy each show without hearing every episode. While the real play episodes of Amberville City Heroes and Villain Underground are mostly comedy, the scripted content will range in tone, as many comic books do. So you can see the different layers of the universe we are building. -You will be listed on SHU content as a contributor. -Access to patron only art, wallpapers, and all cover art. -When you join you get a one time personal thank you letter from a member of the SHU cast! -4 entries every month for the Semi-annual patron drawing fan game. -Monthly swag, such as a new sticker sheet, magnet, button, pin, patch, or other physical SHU goodies. -8 entries every month for the Semi-annual patron drawing fan game. 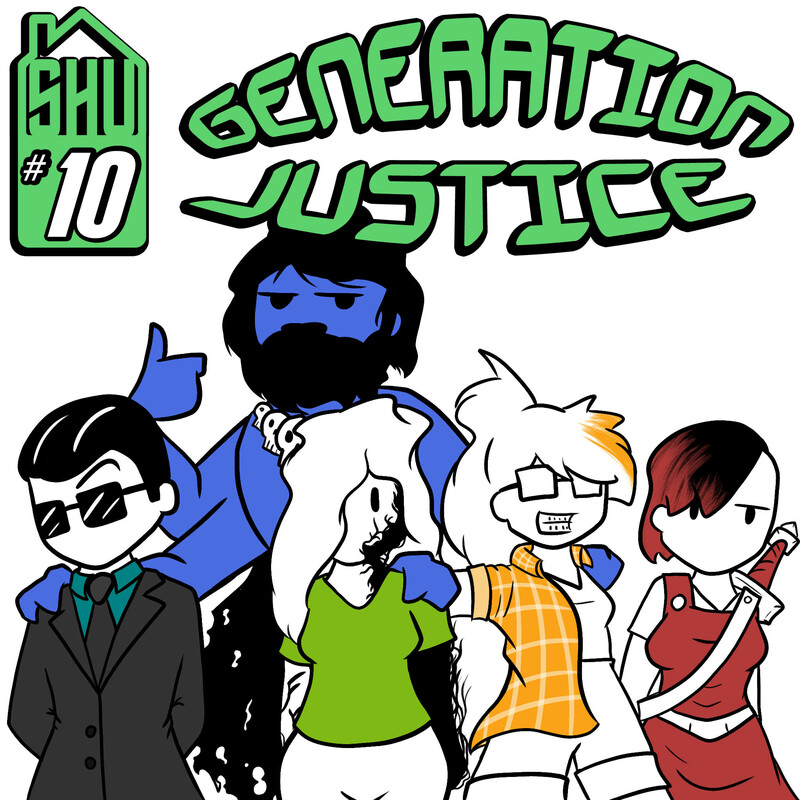 -Make your own hero, and live out some adventures in the the super powered SHU world! You will be a member of the patreon game! This game happens once a month, and will be GMed by your very own Game Mustard. -16 entries every month for the Semi-annual patron drawing fan game. -Make your own hero, and live out some adventures in the the super powered SHU world! This game will be run once a month and will be run by our very own Cody. This Patreon game will be a space adventure. You know who this is for. It's for that one special boy that is all about freedom and good goofs. I will do a monthly comic strip about characters in the universe to help word building.